Happy Monday! Last week was great, things are looking up, and I'm excited for a new week :) The husband got an official offer from the law firm he's been working at, we found a place to live (SO stoked), and celebrated my birthday, all in one week. Looks like St. Louis is the place we're going to call home for awhile. It's not Chicago, but there's a Trader Joe's, Costco, and Nordstrom, which are the sarcastic qualifications I cite when qualifying whether or not I could put down roots somewhere. Also exciting news, this jacket looks great with silver and gold and is 25% off with code '25OFF' this week. Winning. Thanks so much Susan! & Leona makes gorgeous pieces, you'll love them! Your weekend was fab. You also look fab. 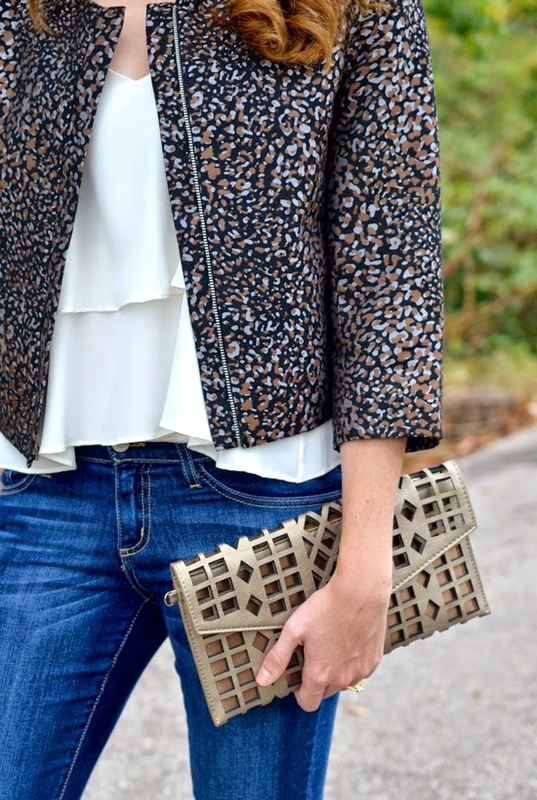 The jacket, metallic flats and clutch are all absolutely gorgeous! Oh my gosh, I love this whole outfit!! Every piece is absolutely gorgeous! Aww you are too sweet. Thank you! This is such a fun outfit!! Love this jacket and it's even better that is goes with both silver and gold! Definitely can't beat that. Am loving your jacket! Great style! Loving the Soigne clutch - great pick! What a gorgeous jacket! I have never heard of that brand before I am definitely going to have to check it out! I love every item you're wearing. 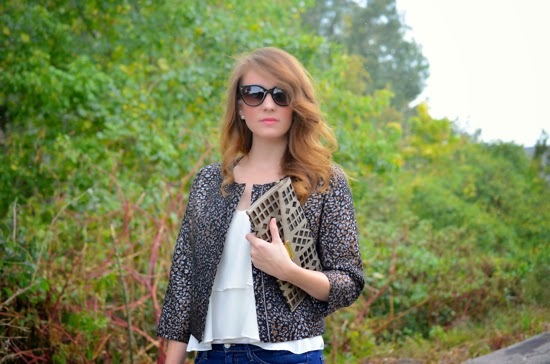 Your stylish jacket is perfect over your top plus your jeans fit you beautifully. You look stunning! Thank you Natalia! xoxo thanks for reading!